I've been thinking a lot lately about scaling sales. In every start-up, finding initial product-market fit is a magical moment. Before this occurs, the sales process is a craft or an art – custom-made by the founder or evangelist sales VP. You dive deep into a customer development process, working closely with a few customers who feed you requirements and are willing to trial an imperfect product that is evolving quickly. But once you achieve initial product-market fit and are down the Sales Learning Curve, suddenly you are faced with a new challenge: how do I scale up the sales efforts? How do I build a repeatable, scalable sales process that is like an industrial machine – not a crafts project? Across our portfolio and in my own entrepreneurial experience, I have seen three main sales models work successfully in scaling B2B sales: 1) Enterprise; 2) Telephone; and 3) Developer-driven. B2C sales and customer acquisition efforts are a different matter (and one I'll perhaps address in a future blog), but for B2B, those three models are the most common pattern. I'll discuss each one below. The enterprise sales model is a pretty simple one and was the predominant model ten to twenty years ago in the IT industry. If you want to scale sales, you hire more sales reps. Find a new sales rep with industry experience, a rolodex and a strong track record. You assign an annual quota to each rep, train them, feed them some sales tools and assign them a sales engineer (particularly for more technically complex products) and coach them along the way. After 3-6 months, they work their way down the learning curve, close their first deal and are off to the races. The typical quota for a sales rep varies by type of business model (SaaS vs. perpetual), product gross margin (e.g., 80-90% software products vs. 40-50% advertising products) and company maturity (e.g., a "jungle" stage company would have a lower quota than a "highway" company). Typically you want to see a 3x ratio between the contribution margin per rep (factoring in the lifetime value of the customer, or LTV) and the cost per rep to acquire that customer, fully loaded (i.e., customer acquisition cost or CAC). For example if you have a 90% gross margin SaaS software product and assign a $1.1M in quota for a rep (i.e., $1m in contribution margin) that makes $250K at target and assume another $50k in benefits and travel costs and $30k in marketing and support costs for a total of $330K, then you have a 3x LTV:CAC ratio in year 1. Another rule of thumb for SaaS companies, some focus on "the Magic Number", which is the ratio of new sales to sales and marketing expenses. If the customer is a recurring customer, then they are more valuable and a lower quota might be tolerated, although a separate group of account reps are often accountable and paid commissions for the renewal revenue. If the marketing support is greater and the product is more mature, than a higher quota might be assigned. In my former company, Open Market, we had rising quotas each year as we got more mature, from (if memory serves me) $1.1M to $1.3M to $1.5M to $1.7M to, finally, $2M in annual quota. Advertising sales reps, with a 40-50% gross margin, might have $3-5M in annual quota. Although it is an excellent fit for complex enterprise-class solution selling, many people think classic enterprise sales, as a standalone go to market model, is broken. When you analyze it carefully, unless you can support large quotas due to very large deal sizes, it can simply be too expensive to hire senior sales representatives, distribute them around the country, set up offices and support them. Many are therefore proponents of a sales model that relies more on telephone-based selling, as described below. The telephone sales model is based on a group of lower-paid, typically younger sales representatives that sit in cubicles next to each other and grind out call after call. 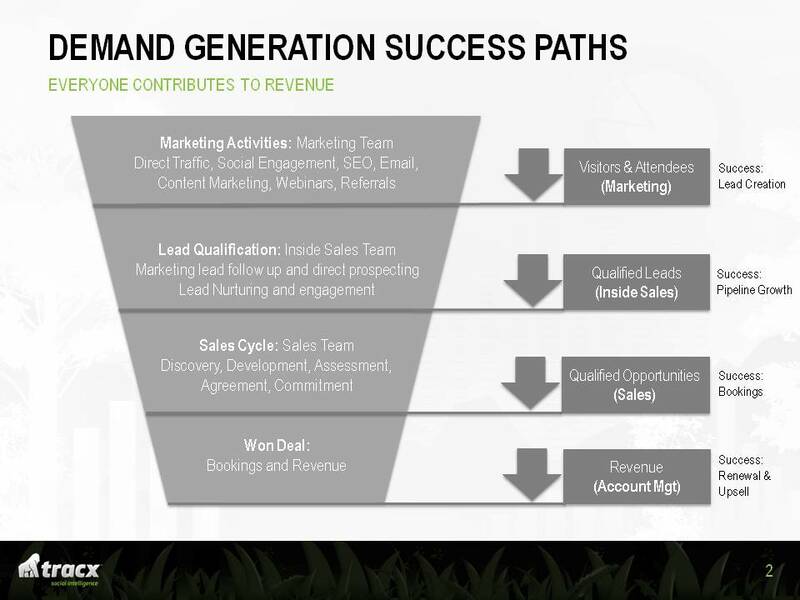 To implement this sales model effectively, there needs to be a tight coordination between sales and marketing to generate qualified leads and to feed these leads to the sales organization. There also needs to be a large target universe of potential customers to justify the volume of calls – the model simply doesn't work if your target market pool is in the hundreds or even thousands. Sales reps in this model may be closers or simply openers who qualify leads carefully and then hand them off to the closers (in this scenario, the telephone-based representatives are often called business or sales development representatives — BDRs or SDRs). Many organizations will have two separate groups – a group of SDRs that are nurturing leads and conducting product demonstrations and a group of telesales reps who are closers. It is not uncommon for the SDRs to be right out of college or, at most, have only 2-4 years of experience and be earning base salaries as low as $30-40K. Their quotas may be as low as $400-500K, but their salary at target might be only $80-100K. With no travel budget and no field offices, the numbers pencil out nicely. The telesales team can also be a nice training ground for enterprise sales reps – a path that can be cheaper and less risky than hiring someone externally. Generating a high volume of leads for the telephone sales rep is the key to making this model work. It is all about (highly qualified) leads, leads, leads. Leads may be through inbound marketing techniques (such as webinars, blogging, white papers or other forms of content marketing) or outbound marketing techniques ("smile and dial" against a list of prospects). The Hubspot folks (who are terrific in this area) estimate that each SDR in their mid-market group needs 150 leads per month to be productive and busy while for the small business team, they target feeding 2000 leads per sales rep per month. This is an appropriate number to figure out and model to help guide whether you need to ramp up marketing (demand generation) or sales (closing) as you scale. To that point, a well-run telesales operation will be super metrics-driven. You can measure EVERYTHING – how many calls per day per rep, how many connects per call, how many positive conversations that lead to follow-up, how many demonstrations, how many proposals, etc. These measurements help with the "machine-building" process as you can more predictably assess how you are doing at any given time and where you need to focus your resources – more leads, more SDRs, more closers, etc. The best sales VPs of telesales operations are more like accountants than charismatic salespeople. If you hire a charismatic leader as your head of sales, make sure you hire a director of sales operations to support them. I never fully appreciated the value of this role until I saw it in action myself at Open Market where the director of sales operations managed all the numbers and operational details, freeing up the charismatic sales VP to hire, lead and close the big deals. Alignment between sales and marketing is critical in any sales model, but under the telesales model it is even more critical. Organizationally, SDRs may even work under the marketing organization while the closers work for sales. Whatever the organizational configuration, the definition of a lead, clarity on the quantity of leads being targeted, and alignment on the quality of a lead required before handing off from marketing to sales are all key elements to work through. Marketing automation platforms are particularly helpful here so that you can track someone from website visit all the way down the funnel through close. Again, there are many who believe even the telesales model is flawed and outdated. Hiring armies of young, inexperienced professionals and training them to become sales reps and operate in a "boiler room" style environment can be expensive. To achieve friction-free revenue (and who doesn't want friction-free revenue? ), a third sales model has emerged which I'll call "Developer Driven". My partner, Chip Hazard, wrote a terrific blog post on the power of developer-driven adoption, something we have seen play out very successfully at a few of our portfolio companies, but most notably 10gen (maker of MongoDB). As Chip points out, if you can architect your product as a platform (build APIs that are accessible to 3rd party developers) and get bottoms-up adoption from the development community, you can drive adoption without investing heavily in sales. Chip's examples are mainly from technical products (his main area of expertise), but this approach can be employed for any product where customers can trial, see value quickly and begin adoption without taxing your sales resources. To do this effectively, you often need to employ a freemium business model – making it easy for a developer or customer to try your product for free, get set up and quickly self provision (ideally within 5 minutes) without ever speaking to anyone at the company. This provides the ultimate inbound marketing model – customers contact you when they have tried your product and are convinced it provides them with value. Once value is established and the product usage ramps up, you can hear the cash register ringing. Instead of hiring telesales people, you hire "Community Managers" who arrange hackathons and meetups, actively engage the community on the forums, and shares relevant content through various social channels. When things are really working well in a developer driven model, developers are embedding your platform in their products and each developer becomes a marketing agent for the company. In effect, your developer support team becomes your marketing team. The magic in developing a go to market strategy is that there is no "one size fits all" approach. Many companies will design their sales and marketing machine as a blend of each of these approaches. Use a developer-driven model to drive trial and inbound activity. Telesales to close high-volume, smaller deals. And then enterprise sales for the select strategic deals with average sales price (ASP) > $100K. Different phases of your business will see more emphasis on one area than another. For example, many companies embark on a freemium model initially, then depend on inbound upsell, later hire a telesales team to ramp up the upsell process by adding outbound activities, then hire an enterprise team to close the big deals. Dropbox is an example of a company that has followed this path with tremendous results. The main point is that you need to be as strategic and thoughtful in designing your go to market model as you are in your product or company strategy. Only then can you evolve from a crafts model to a machine. I include a chart below from a recent board presentaiton from my portfolio company, tracx (a SaaS social intelligence platform) that frames the multi-stage process in a particularly clear manner.